Method Take a bowl and add ghee and powder sugar. Mix them well for 5 minutes by stirring in one direction so that mixture become creamy and fluffy. Add semolina, cardamom powder, besan and wheat flour. Mix them well to form smooth dough. No need of milk here. Take lemon size lump in hand and roll it . Press littel to make flat round shape. Put different colours tutti frutti on top with little pressure. Put it in greased idli stand mould. Prepare all nankhatai in same way. Fit idli stand with each other in zigzag manner so that all nankhatai is not resting on same vertical line. Put cooker on gas with medium flame and add salt at bottom. Spread salt with spoon and close lid . Here remove whistle and ring. Preheat cooker for 10 minutes. 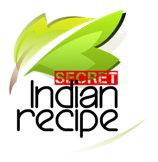 When it is preheated, put Idli stand in cooker and close lid without whisle and ring. Bake it for 20-25 minutes at low flame. Check after 20 minutes by inserting knife in any nankhatai. If knife comes out without sticking then they are baked. Turn off gas and let them cooled down. Take out Nankhatai in serving plate. Enjoy Healthy delicious Nankhatai on festivals.